It was day one hundred and twelve and rocket 93 was ready for our mission. The rocket was ready and our commander then called and said “help me I slipped and I think I broke my leg” and I thought well what a start to my day. When the EMS arrived he had broke his leg and his arm so we had to launch in 4 minutes time. So we ran to the rocket. The countdown was on. 10. 9. 8. 7. 6. 5. 4. 3. 2. 1. Blast off! 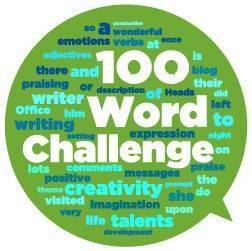 Well done on completing your first 100 Word Challenge story Sam! Blasting off into space on a rocket sounds like a very exciting – and very dangerous – job! Weren’t you lucky that the mission went ahead after the commander had such an unfortunate accident! Good work, well done! Great story Sam. Sounds like a great adventure. I’m wondering if the Commander went with you on the mission – despite his injury? Well done.